Perry Paraskevas - with 9BB to start the hand - minraises UTG+1 and Paul Sampson makes the call from the BB. Sampson snap-shoves his 40BB stack on the 8-4-2 flop and Paraskevas calls. Sampson shows 9-4 and a flopped 2nd pair. 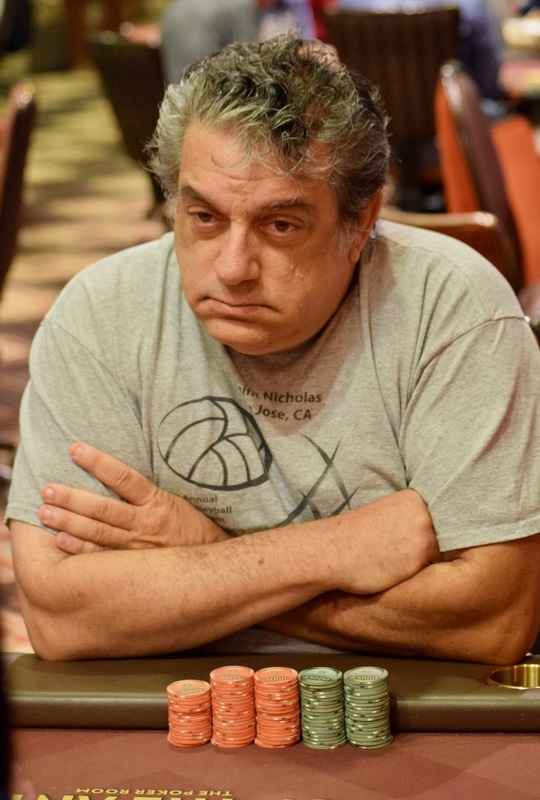 Paraskevas is living on the edge, minraising with Aces and letting the big stacks take a shot. The board blanks and Paraskevas lives.